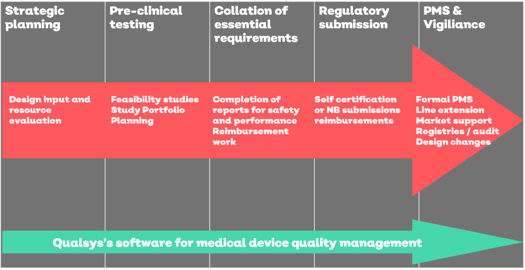 While it's not possible to completely eliminate validation costs - software validation is an essential requirement for compliance with the FDA, MHRA and ISO 13485 - it is possible to make the process as easy, efficient and pain-free as possible. From the onset, our Service Implementation Manager, Dave Beard, was excellent in his approach. It was a fairly straightforward exercise, and actually quite an enjoyable experience. 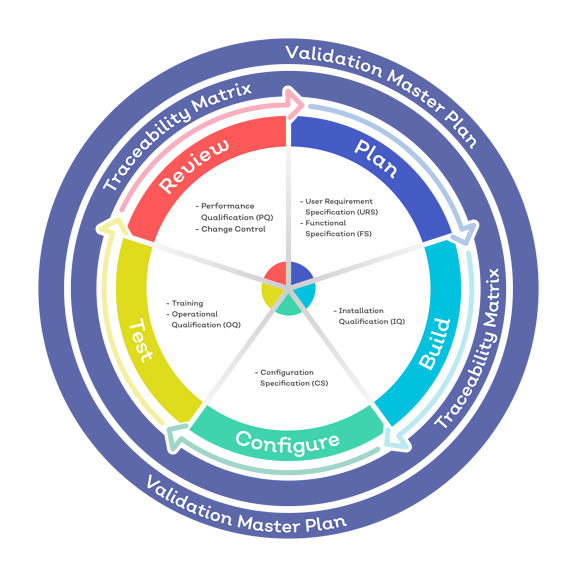 Here's how Qualsys helps you systematically manage the validation and re-validation of our quality management system software. Alternatively, download our Computer System Validation booklet here for a more detailed look at our approach. You may already have templates for some of these, if not Qualsys can provide them and your Implementation Service Manager will ensure that you have asked the right questions, covering all bases and ensured that the validation methodology aligns with your URS and applicable standards and regulations. Qualsys has a team of installation experts who will set up your system. We provide Installation Qualification (IQ) plans, scripts and reports as standard. You also have the opportunity to oversee this process from our offices. Your dedicated Service Implementation Manager will work closely with you to configure the solution to meet your business requirements. The elements of the configuration specification are recorded in your traceability matrix beside the corresponding requirements and functions. The test phase involves ensuring that the systems meets the key operational functionality and security functions. During this phase, we provide you with training, on-boarding plans, and Operational Qualification (OQ) support such as validation test scripts. Your dedicated Service Implementation Manager will work with you to go through the test scripts and show you how to achieve your requirement on the system. For example, we'll show you how to ensure a document is only visible to certain people and groups, or help you take screen shots to document how a function works. After the system has been configured and tested, we provide a range of support templates, materials and services to help you to ensure the software performs as you desire. Also known as Performance Qualification (PQ), during this phase we repeat the OP tests using various scenarios, and also undertake a Standard Operation Procedure review and change control. Validation sign off happens on a modular basis and requires both parties to review. Once all of the modules have been signed off the whole validation support process is also reviewed by both parties.